With fewer than 50 days until the US Junior Open, I’ve finally returned to Richmond to start the summer. It’s been an eventful first year attending Pitt, but with the second semester in the books, I’m really excited to start preparing for my trip to New Orleans! Playing in Pittsburgh definitely offered me more playing opportunities, and while my rating didn’t change much, I still managed to break 2100 and earn the Candidate Master title this year, not to mention a nearly unbeaten record for the University of Pittsburgh (9 wins, 3 draws, and only 1 loss in team matches). I do get the impression, however, that to some extent, my ability to gain rating points was dampened by my schoolwork, and hopefully my appearances in New York City, Washington D.C., and Charlotte will give me the opportunity to prove that going into the US Junior Open. 2016 Pittsburgh Metropolitan Open. Can you spot me? That’s enough about me, I thought today I would discuss an interesting idea in queen’s pawn structures, specifically when 1. d4 is met with …d7-d5. Let’s sample the position below. 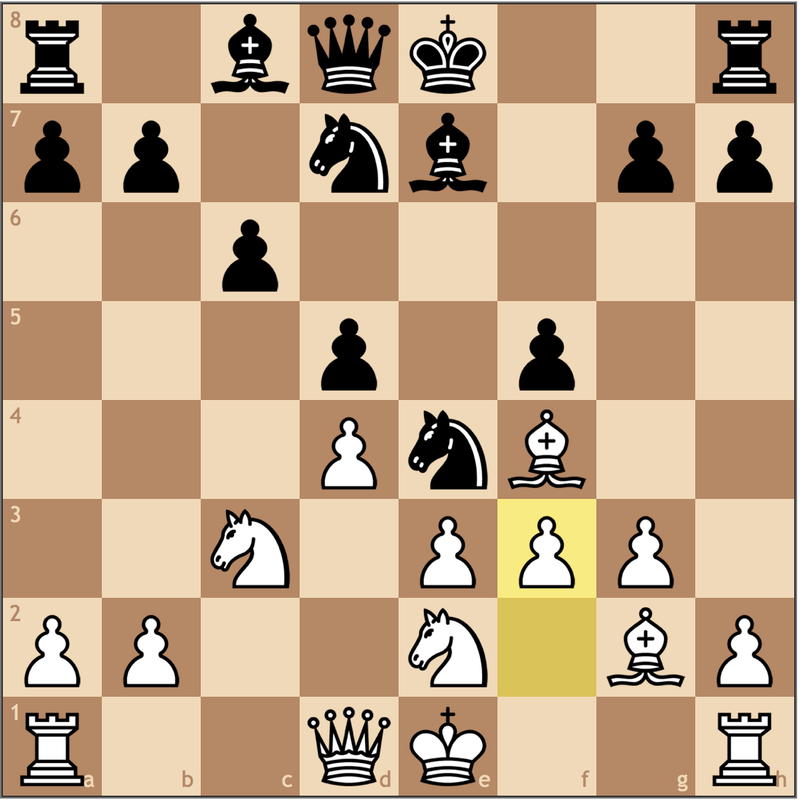 Here we have a position where White has played the London System and has achieved control over the e5 square. Should White anchor a piece here, it’s up to Black to know how to undermine White’s center. This position can also occur in various Stonewall positions as well, here’s a case where I mishandled the pressure back in 2012. Despite my 1800 rating at the time, I’ve already shown my opponent here that I don’t understand Black’s objectives in the Stonewall with the poor choice 6… cxd5, eliminating Black’s worries over his bad bishop. Aside from that early blunder, the critical moment is actually here, where I elected 10. 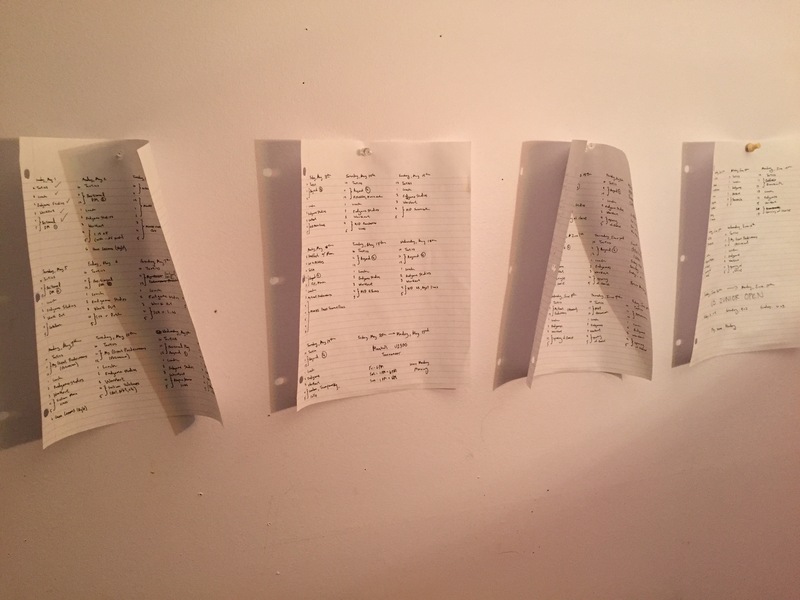 Nxe4? allowing my opponent to turn his space into a space advantage. Already, after 10… fxe4 11. Nc3 Nf6 12. 0-0 0-0, White is already visibly worse. My bishop on g2 is poor, and I’ve spent two moves to get my knight to c3 where it does absolutely nothing. Realizing the poor state of affairs, I tried to break through with 13. f3, only to find after 13… exf3 14. Bxf3 Bh3 15. Bg2 Bxg2 16. Kxg2 =+ that White simply has too many light-squared weaknesses and a weak e3 pawn for no compensation. I went on to lose 15 moves later in what would turn out to be the worst tournament of my career. So it’s evident that handling your opponent’s control over the e4/e5 square in such closed positions is of extreme importance. If we look back, White would have been much better served trying 10. f3, though I’m convinced that even with this improvement White is still worse. 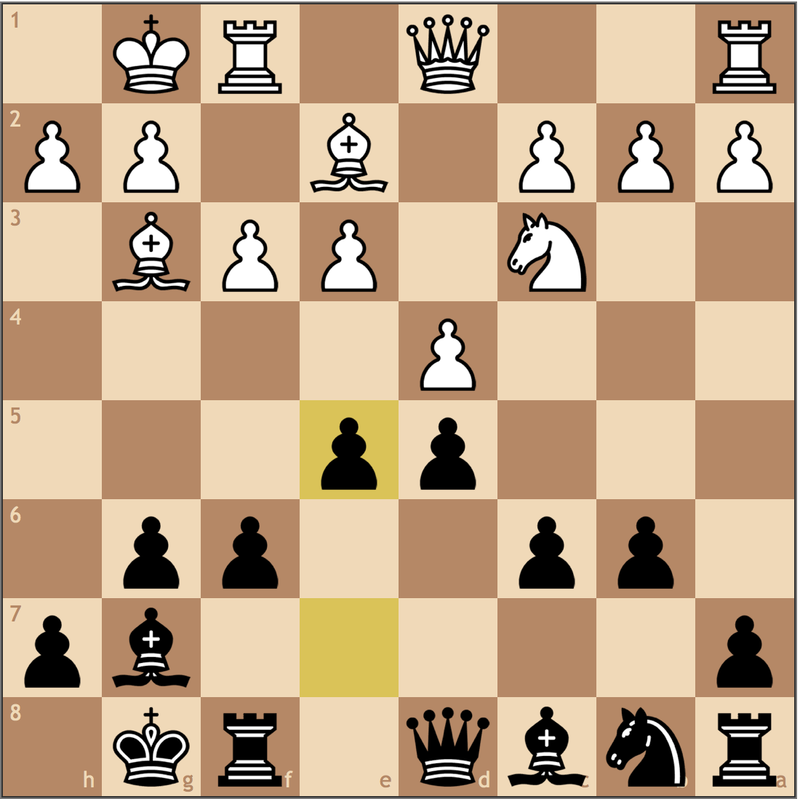 The bishop on f4 is misplaced, and thanks to an early trade on d5, the e3 pawn proves a liability. 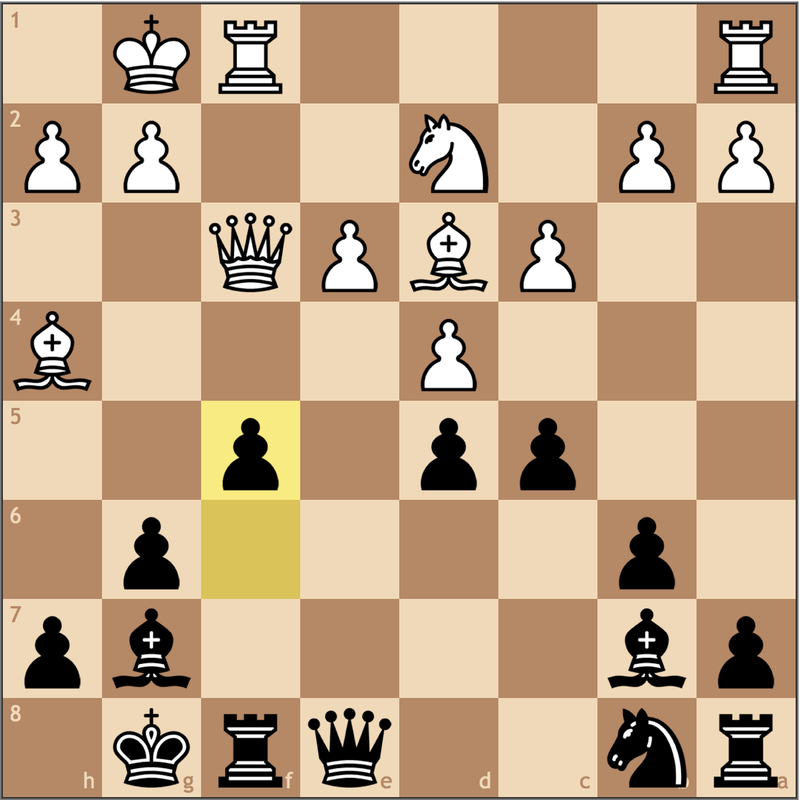 But at least here you can see that White can try for an e3-e4 break to limit Black’s hold on the center. The resulting position will leave White with an isolated queen’s pawn, but at least it will be my best shot at equality. In reality, when your opponent uses the e4/e5 square as an outpost, you really have two options, to kick it with your f-pawn, or to trade pieces. Each option has its perks. With White’s choice of 3. Nc3, I opted for this move, …d7-d5. 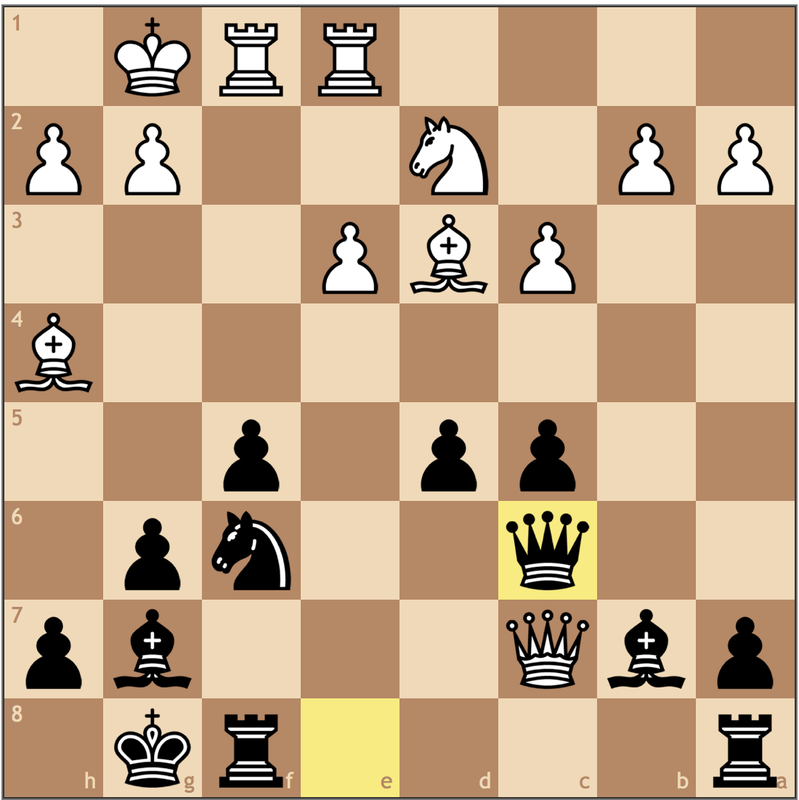 White’s plan is to control e5, and perhaps have a well timed h-pawn push to weaken my kingside. The “safe” option for Black. I have the option of …Bc8-b7 and …Bc8-a6 with this move, but more realistically, I’m planning …c7-c5 to contest the center the one way White can’t, the flank. And we’ve reached the critical concept for today. 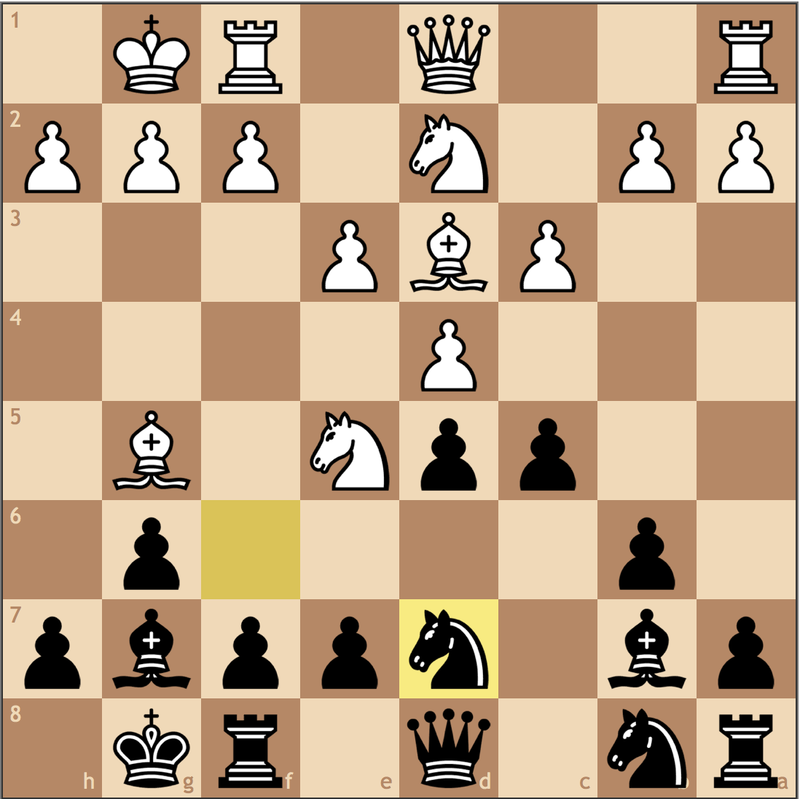 Here White puts a knight on e5 with the intention of playing f2-f3 and e3-e4, paralyzing Black. 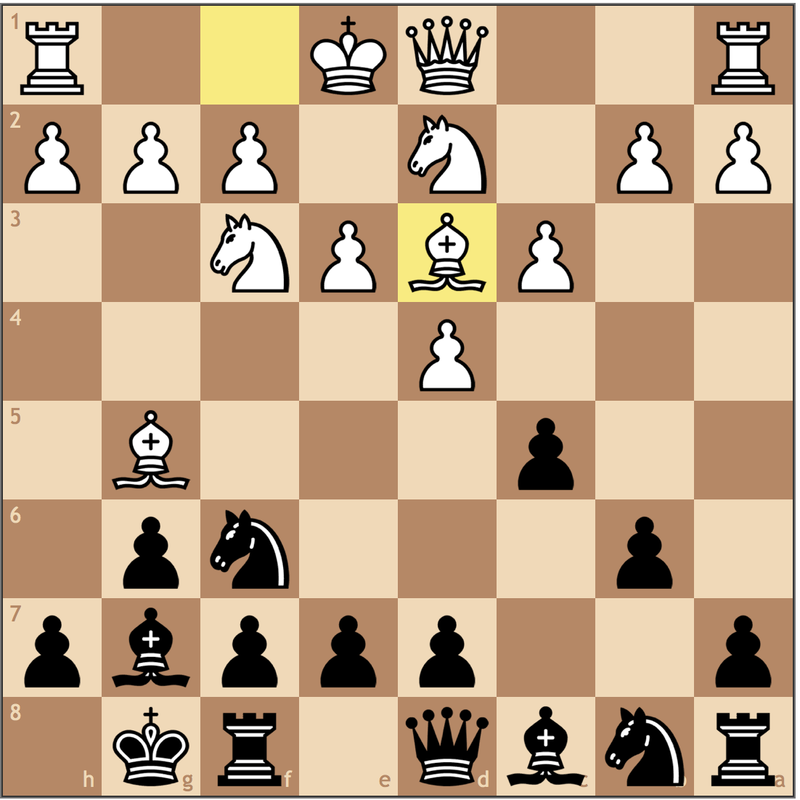 I can’t afford to let this knight stay on the e5 square, as my b8 knight cannot easily develop without ceding the c6 square for White’s knight. In this position where White holds the static advantage, its critical that Black play dynamically to breakthrough. Before taking any drastic measures, I quickly protect the d5 pawn to make my next move possible! A backwards knight move! Though seemingly counterintuitive, the idea is to play …f7-f6 seizing control over e5, while simultaneously preapring an …e7-e5 push myself. 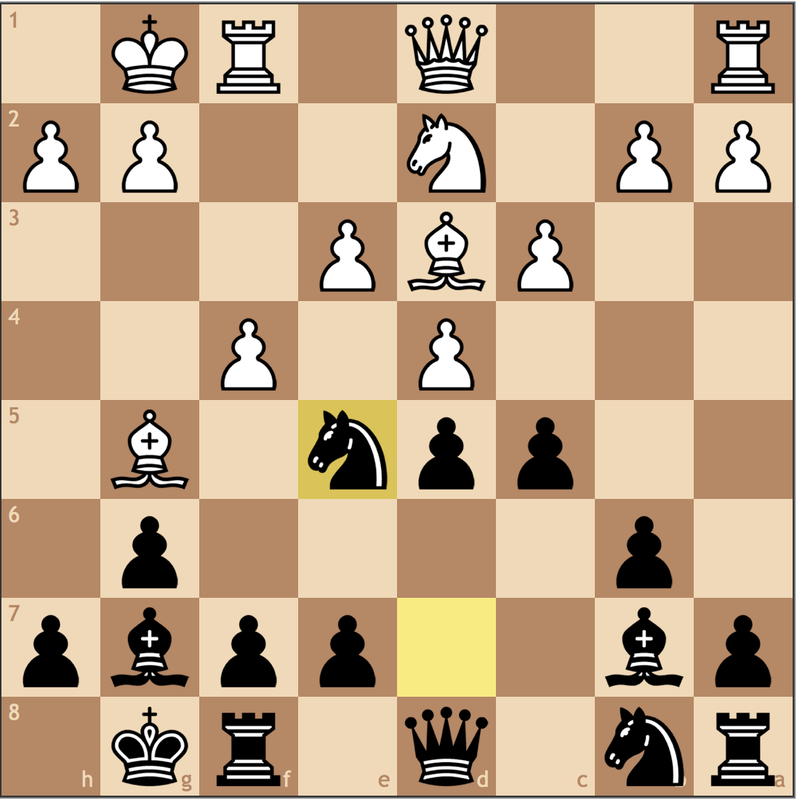 Should White trade on d7, I develop with tempo – 9. Nxd7? Nxd7 10. h3 e5 11. Bh2 =+ – Already it’s clear that the intiative has shifted. It might also be acceptable to try 9… f6, but here I thought it made sense to trade since Black is cramped and now White must make some sort of concession on e5. My opponent chose to recapture with the bishop, which gave me quick play in the center. Suddenly it’s White who has concerns over his weak center, and 12. e4 seems to give White more problems than solutions. I went on to win a nice game, and if you haven’t seen it, I highly encourage you to check out my video on it! In this next example, White transposes into a Stonewall structure. Note how this time my pieces are much more effectively placed than they were back in 2012. 1.d4 Nf6 2.Nf3 g6 3.Bg5 Bg7 4.Nbd2 c5?! Not my typical choice, but I knew my opponent would stick to his repertoire and not take the pawn on c5 given the short time control. In return, I got a fantastic position. From what I’ve come to understand, this bishop really belongs on e2, but here it still offers control over the e4 square. 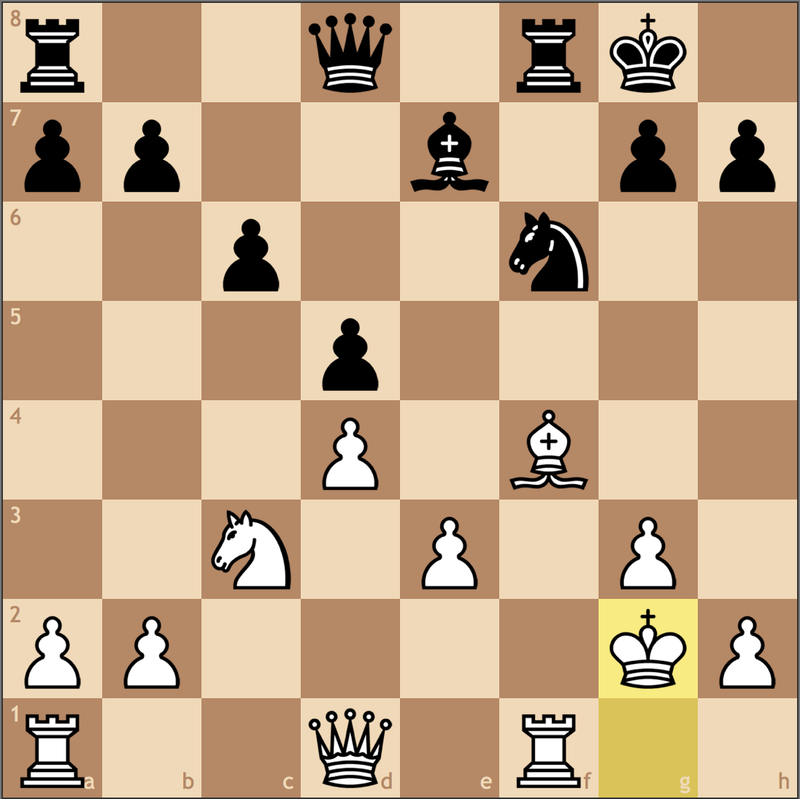 My next two moves make it difficult for White to push his e3 pawn to claim the center. A rather simple position. White’s gotten the simplistic development he wanted, but its not quite clear where he should go from here. That being said, White tried putting a knight on e5 to expand on the kingside. The star move for today! With both …f7-f6 and …Nd7xe5 threatened, White must act with urgency. 11.fxe5 f6 12.exf6 exf6 13.Bh4 Qe8! Despite a convincing win over an expert the last round, my coach, GM Eugene Perelshteyn told me that this was the best move I made this tournament. 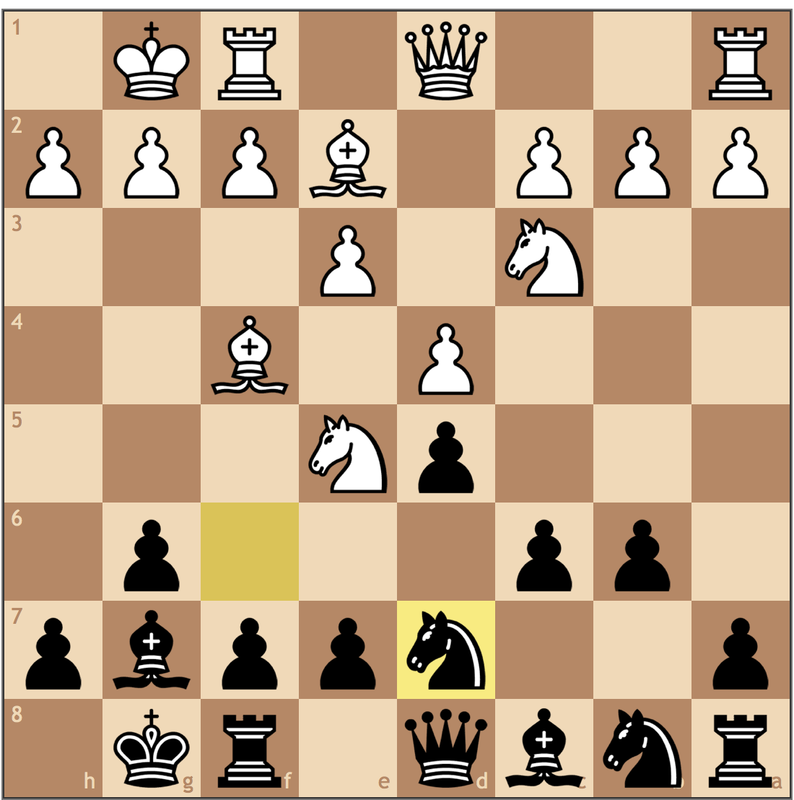 Not only does this move evade the pin on f6, but it puts pressure on the backward e3 pawn while also stopping e3-e4. 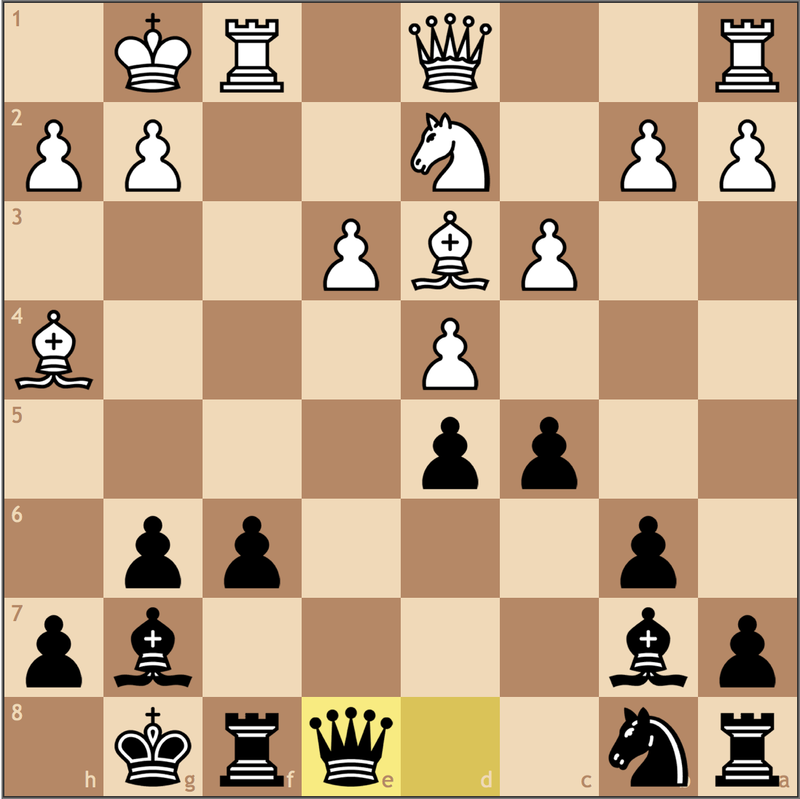 My next move, 14…f5 locks in this weakness. At the cost of weakening the e5 square, I managed to turn e3 into a permanent structural weakness. 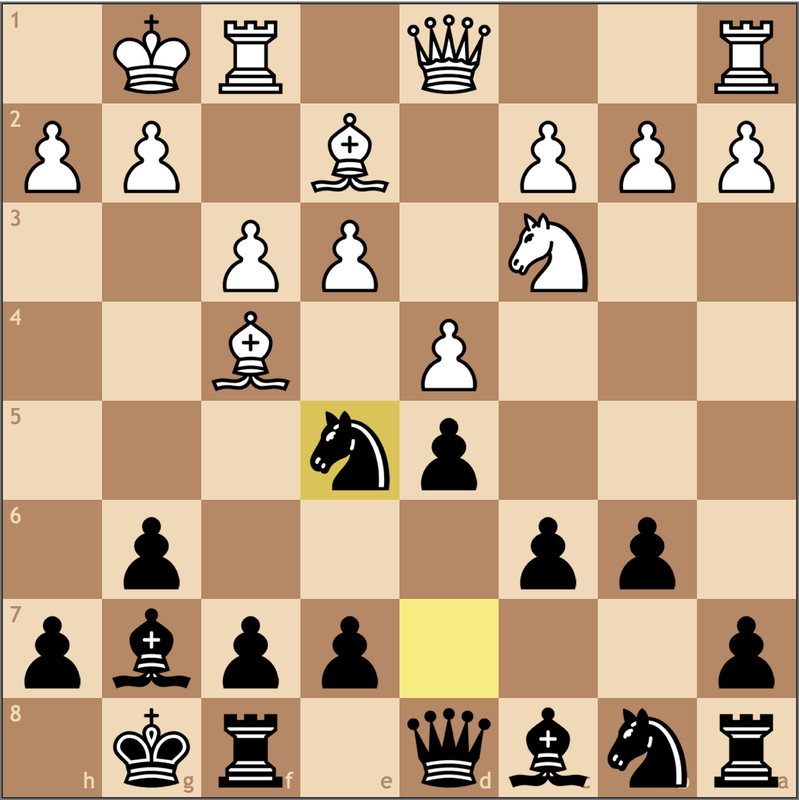 Trading queens is the right idea, but it was critical to force the exchange on c8 not c6 to stop White’s resource c3-c4. By trading on c6, I could meet the push with …Bc8-a6! 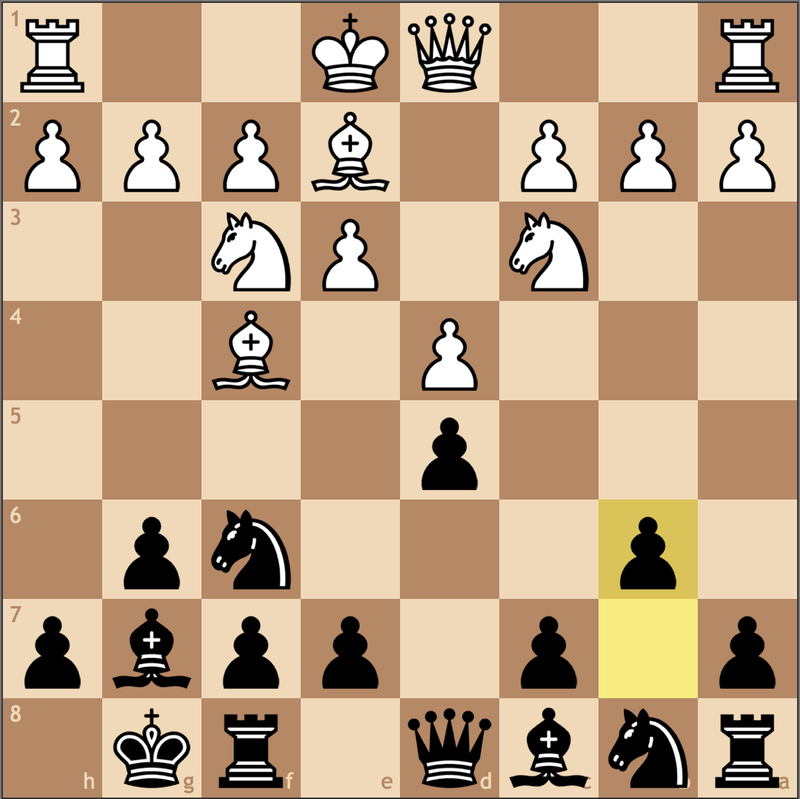 pinning the pawn to the unprotected d3 bishop. 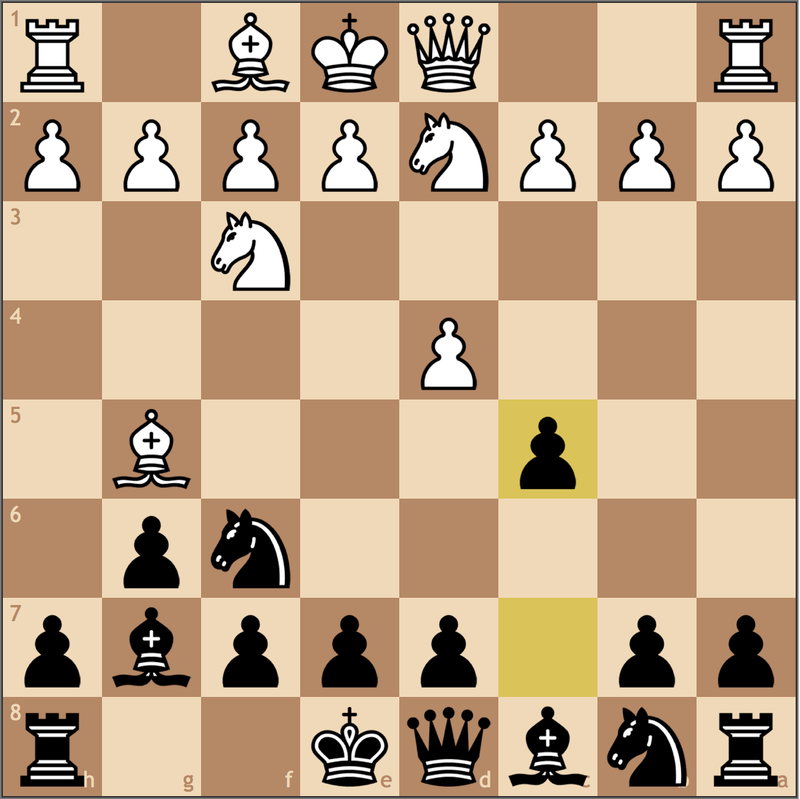 Given the nature of the short time control, the advantage shifted sides throughout the rest of the game, ultimately reaching a drawn rook and pawn ending. 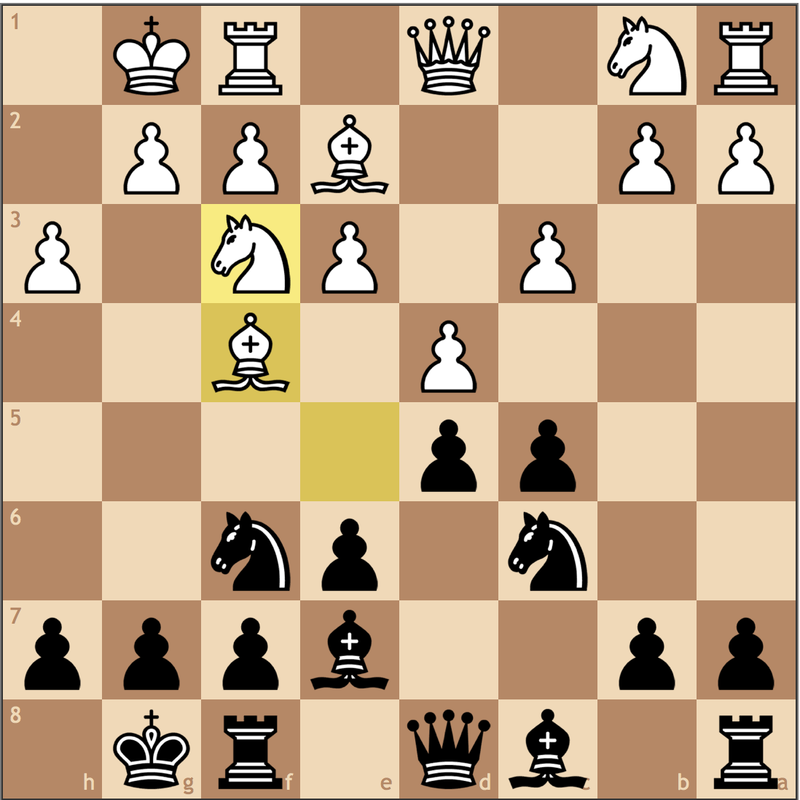 Today’s post showed how Black can effectively undermine an outpost on e5 with the maneuver …Nf6-d7 (White can do the same with Nf3-d2 to attack e4!) 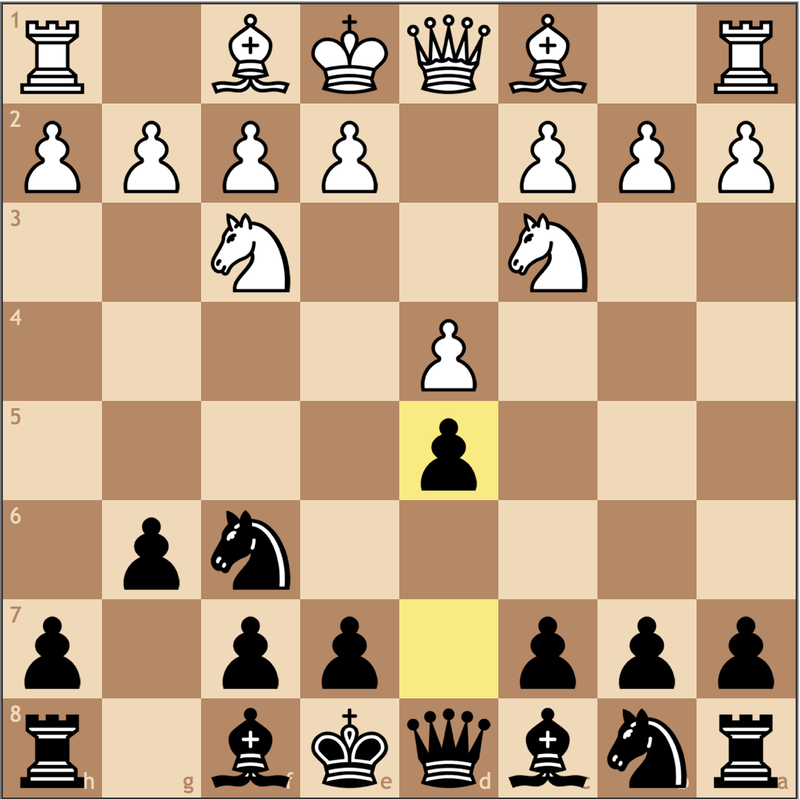 to break White’s hold on the center without creating any real positional concessions. It may not work for every closed position, but it’s definitely a mechanism worth knowing for the future!